The dramatic moments really add to each battle. Players who were lucky enough to take part in the Dragon Ball Fighterz beta the past few days found some pretty cool easter eggs before matches. If certain conditions are met, special cutscenes will play before the beginning of each match. These cutscenes are recreations of popular moments in the Dragonball story and are called known as dramatic moments. One of these moments, for example, involves both players choosing Cell and Gohan as the first member in their three-man roster. Neither play can have Android 16 on their roster and must choose the Cell Games stage to unlock the easter egg. 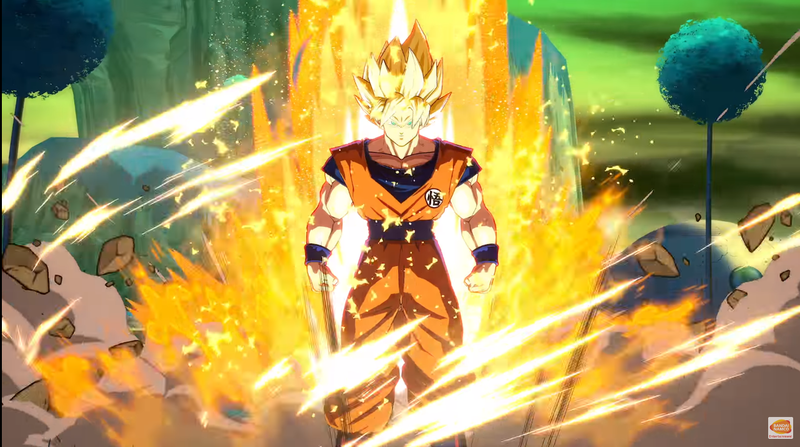 If the conditions are met, a cutscene will start off before the match showing Gohan powering up to Super Saiyan 2. Similarly, if a player chooses Goku and Frieza,neither play has a Krillin on their team, and choose the stage Namek, a scene showing Goku’s first transformation into a Super Saiyan will play out. These are just a few dramatic moments that players have found during the Dragon Ball FighterZ beta, but more are expected to be part of the game in the full release. In recent trailers some more dramatic moments have been teased, such as Goku and Beerus’s first battle in Dragon Ball Super. Dragon Ball FighterZ launches Jan. 26 for PlayStation 4, Xbox One, and PC.